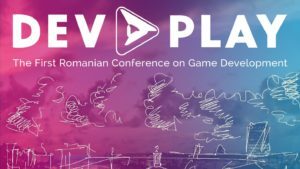 Dev.Play is the first conference on Game Development in Romania. 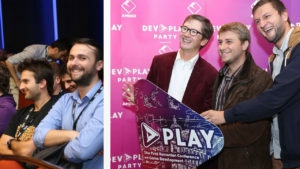 Dev.Play’s mission is to promote the Romanian & Eastern European game development industry, both locally and internationally, and to serve its paticipants as an opportunity for networking and learning. 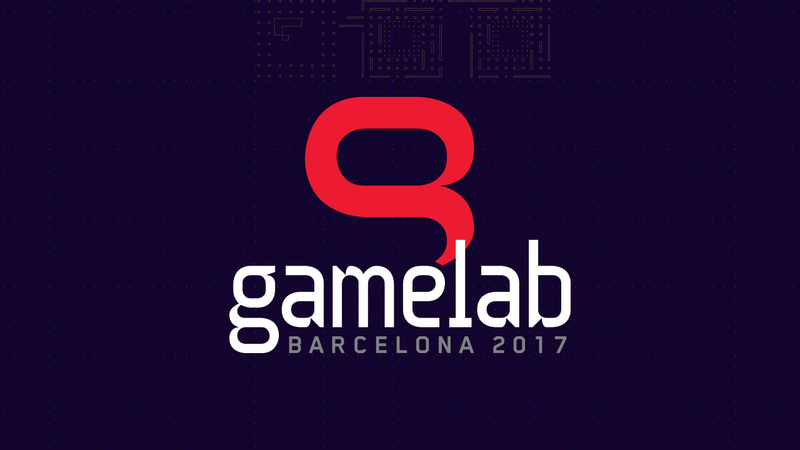 The first edition took place in September 2016 and attracted 300 participants. The old Dev Play branding. 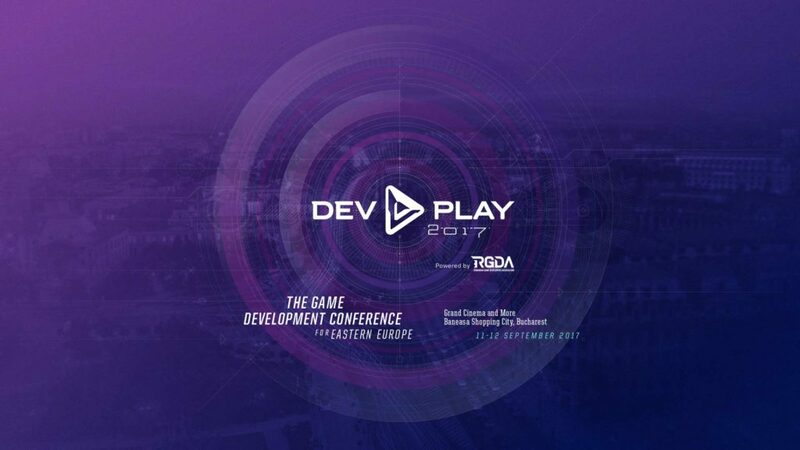 In 2017, for its second conference, Dev.Play needed to solidify its presence from a wildcard, one-off event to a structured, self-standing, serious multi-year event series. The conference organizers, RGDA, wanted to make the statement that Dev.Play is the most important event in game development for Eastern Europe and it is here to stay. 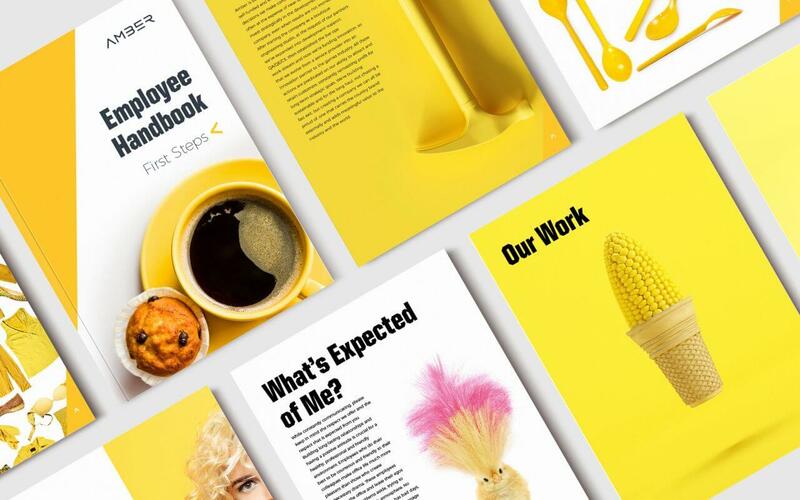 So they hired us to transform its branding accordingly. 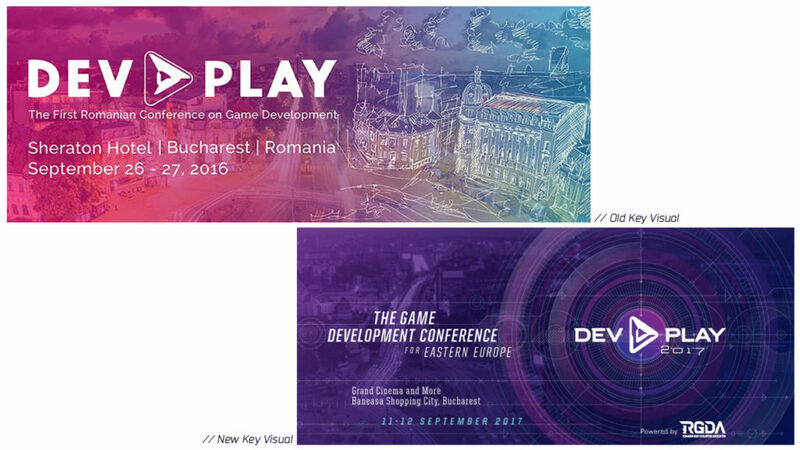 We revamped Dev.Play’s entire visual identiy, recreating their logo and all of their marketing assets. 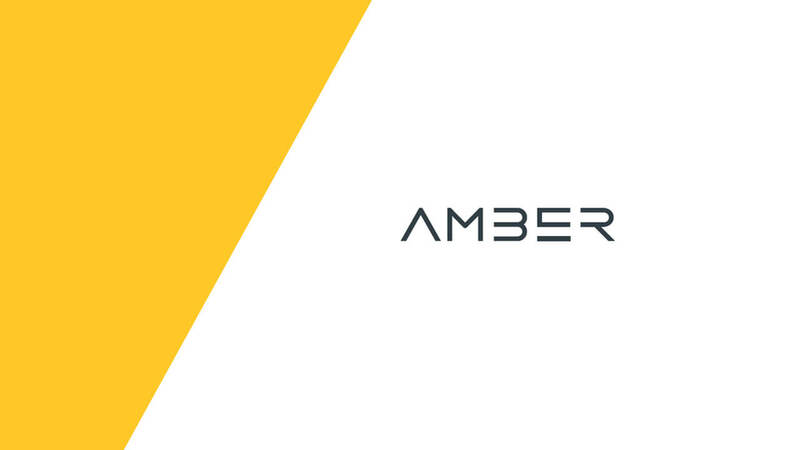 The new branding digs deeper into Dev.Play’s gaming roots and goes for a more “digital” look & feel, while keeping a professional and clean design. 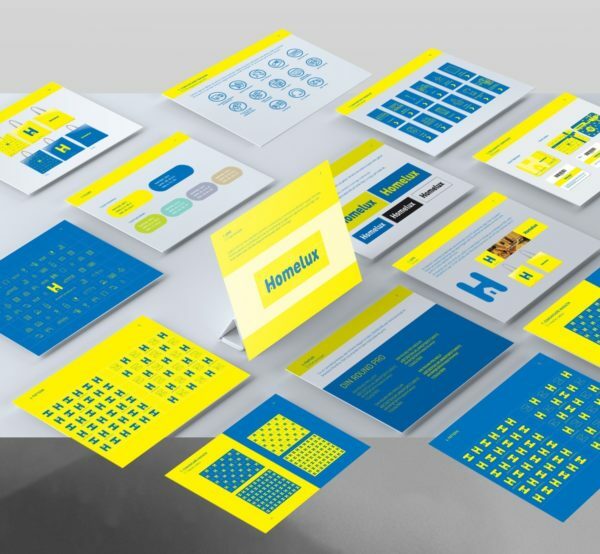 We created a crisp, tech-styled logo that has weight and impact in all shapes and sizes – from mobile phone website headers to huge screens in the conference venue. We changed the color scheme to a darker shade of purple as primary color, bringing depth to the composition.